What have Chieveley and Winston Churchill got in common? The young Winston was captured at gunpoint in a daring ambush in Chieveley in 1899. But before you start reaching for your history books you should know that the Chieveley in question is in South Africa. At the time Winston Churchill was a journalist, a war correspondent covering the second Boer War. On the 15th November 1899 he was travelling on an armoured observation train when it was ambushed by the Boers at Chieveley in Natal province. A number of British were killed and wounded but Churchill survived and was taken as a prisoner to Pretoria. The episode became known as "The Armoured Train Incident". He famously escaped two months later and the rest, as they say, is history. 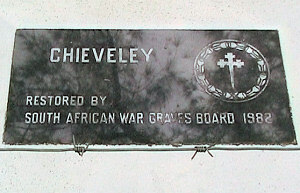 Chieveley today is a small collection of houses clustered around a railway station about 100 miles north-east of Durban in the KwaZulu-Natal region. 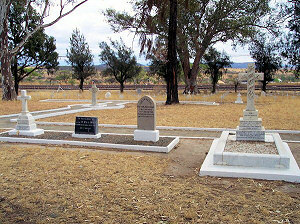 It is home to the Chieveley Military Cemetery containing the graves of 134 soldiers killed in the area in the second Boer war. Like Chieveley in Berkshire it has a primary school which is also known (not surprisingly) as Chieveley Primary School. No link between the schools exists at present but the opportunity to establish a direct cultural connection between the two is strong. 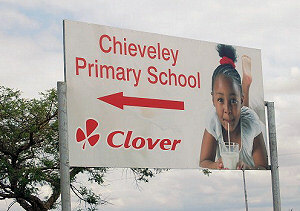 Is there any link between Chieveley in Berkshire and Chieveley in South Africa? Well yes it seems there probably is. In 1820 a gentleman farmer of Chieveley in Berskhire emigrated to South Africa. His name was Major George Pigot and he took with him a group of twenty servants drawn from Chieveley village (which he described as 'a very populous village and the poor rates very high'). Together they became known as the Pigot Party and they landed in the Eastern Cape area in March 1820. Whilst no definitive proof exists it seems likely that as this group spread out and settled in the area they used the name of their home village when naming one of the settlements. On a recent trip to South Africa David Campbell (of Chieveley here in Berkshire) paid a visit to the other Chieveley and took some photographs. Our thanks to David for sharing them with us here.